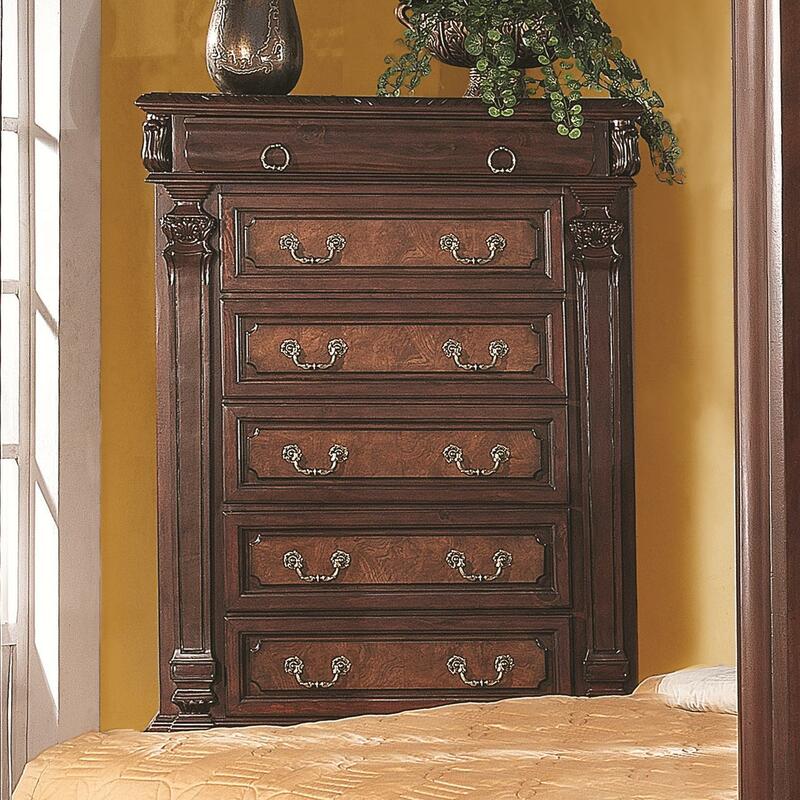 You'll be set with this tall chest in your bedroom decor. 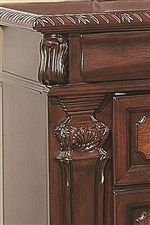 The piece carries a warm brown cherry finish and is crafted from beautiful pine solids as well as cherry veneers. 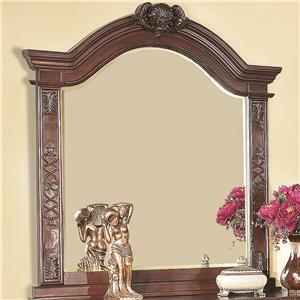 In addition, the intricate carvings and moldings add a level of sophistication to the overall look. Plus, the five lower drawers are great for storing sweaters, jeans, blankets and bedsheets while the top felt-lined drawer is perfect for keeping all your fine jewelry as well as other valuables. 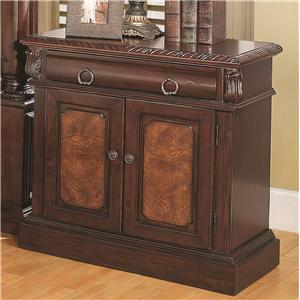 There will be a lot to like with this chest of drawers in your home decor. 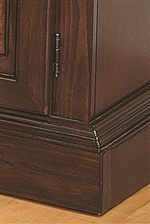 The Grand Prado Tall Chest w/ 5 Drawers by Coaster at Furniture Superstore - Rochester, MN in the Rochester, Southern Minnesota area. Product availability may vary. Contact us for the most current availability on this product. 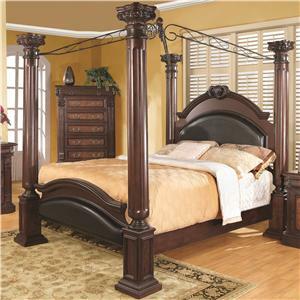 The Grand Prado collection is a great option if you are looking for Traditional furniture in the Rochester, Southern Minnesota area. 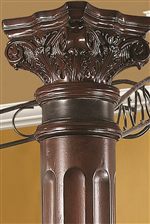 Browse other items in the Grand Prado collection from Furniture Superstore - Rochester, MN in the Rochester, Southern Minnesota area.